If you’re an offensive-centric fan of the NFL or you play fantasy football the same way your older brother taught you then you need to read this interview with Jene Bramel. The Footballguys.com staff writer is one of the best fantasy writers you don’t know about because he is recognized as one of the go-to guys for leagues featuring individual defensive players (IDP). Even if your leagues are strictly offensive players, his knowledge of defenses will make you a better decision maker with offensive talent. In part III of our conversation, Jene and I use the phrase “crap shoot,” enough to think it’s a PG-13 summer movie, but I promise its only in the context of discussing fantasy football. Waldman: Why are you such a fan of the defensive side of the football? Bramel: I think that’s sort of what drew me to football in the first place. The first players that I could remember for the Bengals were hard-nosed guys like Kenny Riley, Jim LeClair, Ross Browner, and then going to Tim Krumrie and Reggie Williams. Certainly I liked offensive players like Kenny Anderson and James Brooks, but it was the defensive side of the ball and the team nature of it. The fact that those were the guys who were looking to hit people – it drew me to the defensive side of the ball. You could mention the team nature about the offensive side of the ball, but the more you look at the defensive side you learn that it is more than just a head hunting, brutish side of the ball. There are a lot of intricacies. As Sigmund Bloom would say, there’s a ballet to the defensive side of the ball that’s always been intriguing to me. Waldman: When did you become a football fan? 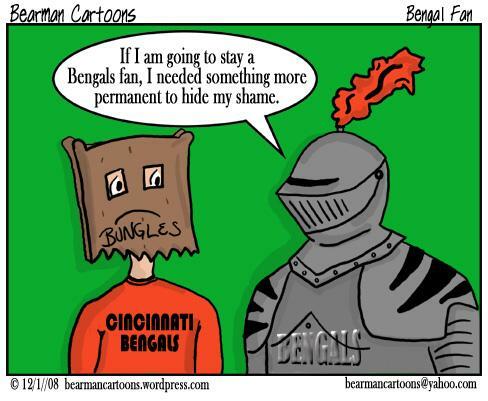 Bramel: I think I was always a Bengals fan. I don’t remember following the team all that closely when I was young. I was a Reds guy more than a football guy. I was a big Reds fan always trying to follow the games on the radio at bedtime since I was in kindergarten. Waldman: The Big Red Machine? Bramel: The Big Red Machine was a little bit before my time. I was born in `73 so I was 2, 3, 4 years-old during the Bench, Rose, Morgan, and Perez years. Most of what I know about those guys comes from old audio recordings that I have from Marty Brennaman in the radio days and watching old games on MLB Network. Waldman: So you were more of an Eric Davis guy. Bramel: I was definitely an Eric Davis guy. We had are high school homecoming dance the night that they clinched the World Series in 1990 and instead of going to the after party we went to downtown Cincinnati with brooms and hanging out the window of our car and drove around Fountain Square. I was a big Reds fan in the 80s and 90s when I was playing little league and team baseball. Although the teams weren’t great they were still a lot of fun to watch. You just appreciated being a baseball fan. I can remember falling asleep with the transistor radio between my ear and the pillow listening to Marty and Joe and the Reds broadcast. I think I came to football a little later than that. I didn’t play football when I was a kid. The Bengals were good at times. In the 80s for sure. I remember the two Super Bowls they went to and following them pretty closely during their first year. I was in grade school then. But as a kid baseball was my first love. Waldman: How did you get into fantasy football? Bramel: Fantasy football started for me as an icebreaker during my first year in medical school. There was a group of six or eight guys who were football fans and football season was starting up just as our first year of classes started in medical school. It was a way to get together. Then my competitive nature and my love football began to develop into what it’s become, which is nearly a year-round obsession. Waldman: Where did you go to med school? Bramel: The University of Cincinnati. I’ve been a close to home person with my education. I grew up in Cincinnati. I considered leaving home, but I ended going “all the way,” to the University of Dayton for my undergraduate work and then came back to Cincinnati for medical school and then trained at Cincinnati Children’s Hospital. I’ve always been local. Waldman: What type of medicine do you practice? Bramel: I do a little bit of everything. I’ve always teased my wife about this because she’s the primary breadwinner and I’m mostly a stay at home dad. It’s as if I try to accumulate as many jobs as I can that don’t require me to spend much time in the office. So I have 2-3 medically related pursuits. I’m still working as an urgent care pediatrician for Cincinnati Children’s and I’m the lone pediatrician in a rural health clinic closer to central Ohio where I live now. Neither one of those jobs require more than a few hours per week at that. On average, I’m working 3-4 days out of the house a month. Waldman: One of my favorite columns at Footballguys is your reading the defense series. You also did a great job of creating a combined rookie draft board for offensive and defensive rookies. But probably the best thing I’ve read is your Ultimate Guide to NFL Defense. In fact I need to post a link to it on the blog and leave it there for easy access just for myself. Tell me about the work you do at Footballguys and the approach to take to develop these ideas. Ndamukong Suh is a great example of why drafting in IDP leagues isn't a crap shoot. Photo by beatboxbadhabit. Bramel: I think what got me interested in coming to Footballguys was that I was a stay at home dad and it was an outlet for me write, which is something that I always wanted to do. I thought fantasy football would be a way to write about sports. So I always try to approach my fantasy writings from a football-based perspective of what you see on the field and meld those observations with statistical analysis to develop a football take and draw fantasy conclusions from it. The origins of the Ultimate Guide to NFL Defenses came while I had my second son sleeping on my lap and I needed to learn a little bit more about how defensive schemes work: the historical evolution of those schemes; how the players fit into them; and how to tell the readers the best ways to parse through that information to make a good decision in their fantasy football drafts. So I spent a lot of time reading books, researching articles on the web, looking through old coaching quotes, watching practices, and film. That’s what I try to do on a weekly basis. It’s one thing to see that Player A had 9-10 tackles in a week, but it’s a totally different thing to see with the help of statistics and film and past history to know why that player was able to perform at that level and whether they will be able to sustain it. This is one of the things the people who are considering IDP leagues have concerns about: whether or not these things are repeatable. I hear the word “crap shoot,” and the idea that it’s unpredictable. But I think for many of the same reasons that you can make determinations on the offensive side of the ball, like whether a running back is good for the zone scheme or a wide receiver is a good fit as a slot receiver. You can made the same determinations about defensive players if you understand why they line up where they lineup and whether or not their particular skill set is a good fit there. Waldman: I love IDP leagues and when I hear the phrase “crap shoot,” associated with it I couldn’t disagree more. It’s so far from the truth because there is a lot of strategy rooted within drafting and acquiring defensive players. Just as you have to learn the role of a wide receiver in the offense to determine if he’s the type of slot receiver that will get heavy targets, you have to do the same with a cornerback who is really good in run support and decent in pass coverage but just not quite as good as the cover corner playing the opposite side. This often translates into more targets on the lesser cover corner and more points. The same goes for how a linebacker or defensive tackle functions in a scheme. 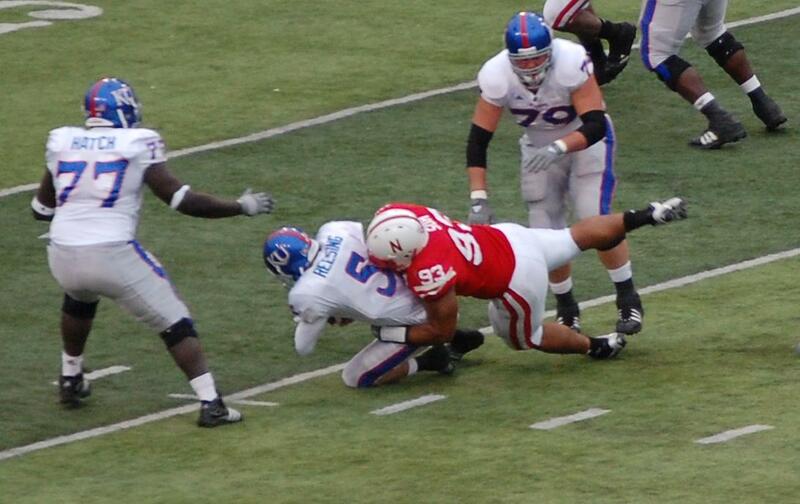 Nadmukong Suh was my top ranked DT last year heading into the season because he was a terffic pass rusher. A lot of people just look at defensive tackles as part of that crap shoot. But if you see the player and learn how the team plans to use him you can develop an idea of whom to target. Bramel: It’s almost like fingernails on a chalkboard when I hear the word “crapshoot,” associated with IDP. It disappoints me to hear it. In some respects you can say that the lesser tiers of the defensive back positions is a crap shoot because they change so much every year. But that’s not because it is specific to IDP. It’s because defensive backs are the last line of defense and most of your IDP leagues are going to focused on tackles, interceptions, and passes defensed, which are more difficult to predict because they are so dependent on the flow of the game and how the official scorers make their decisions. It’s part and parcel of what the defensive back position is, but you can say the same thing about third wide receivers. There may be a team or two that consistently have a third wide receiver that you will rank high, but for the most part you’re going to see a lot of turnover every year at that position. You’ll have guys like Devin Aromashodu who disappear as quickly as they appear, but it doesn’t make the rest of offensive fantasy football or the wide receiver position a crap shoot. It’s just a part of how they position is used and focused on in the National Football League. I can point to 5-10 safeties that are still year in and year out valuable players just as I can point to 5-10 quarterbacks. That’s not a crap shoot. It’s not only how you can draw parallels with how schemes and skill sets apply to statistical projection between defensive players and offensive players. The statistical side bears it out, too. Waldman: I agree. I’ve been writing about a draft approach for three years now that explains why the running back position can be more of a crap shoot than people commonly think. And that’s the position everyone thinks is the most predictable and it’s one of the least. Bramel: That’s exactly right! If you go back and compare the number of players that repeat as “fantasy starters,” the top 24 RBs, the top 24-36 WRs, the top 24-248 LBs, and you compare the percentage of those guys that repeat year to year and in a three-year time frame RBs, WRs, and LBs are almost identical, QBs, TEs, and DLs are almost identical, and the DBs are a little bit less. But by far, the position with the lowest rate of consistency from year to year is Team Defenses! So if you’re looking for a crap shoot that’s you’re crap shoot.